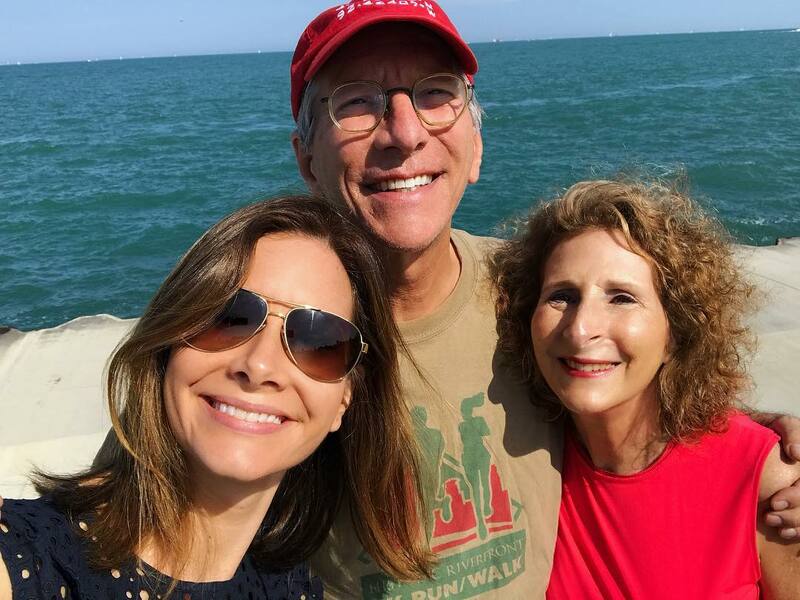 ABC News Chief Business, Economics and Technology Correspondent Rebecca Jarvis, who is also the host of the No Limits with Rebecca Jarvis podcast, learned early on how to be a financial grownup from her family. Jarvis tells the story of a friend who ran up $10,000 of credit card debt. She says he did not fully understand that he would eventually have to pay that back, and with interest. Credit card debt is some of the worst debt that you can take on, she explains. Her friend had his credit score ruined so he couldn’t go out and get a mortgage or a car loan post-college. Ultimately his family had to step in and help. The debacle even impacted his ability to get a job, because employers would question his ability to be responsible- which Jarvis says he was. Jarvis says that no matter how much money you have, or feel that you don’t have, it is important to think about needs versus wants. “There’s research out there that shows that almost every person, whether they have $10 in their pocket or $100,000 in their pocket, is very likely spending more on wants than they’re truly aware of.” she says. In fact many of her stories at ABC focus on people who have gotten out of debt. The common denominator for many of them is that they went through their spending for the last three months line by line. They would think about what they were spending on, in terms of needs versus wants. Jarvis says one of the best things she advises friends is to literally sit down with their credit card statements and go through them line by line using a ruler. Circle the wants. She also recommends creating a budget. While you don’t need any fancy technology, Jarvis is a fan of Mint. She says the app can give users a full picture of what is going on financially. If you are spending money, consider investing in education and additional learning for you or for your community. “Those are the areas where that dollar, whatever amount of money that you’re putting out there, will come back to you ten X, will come back to you so much, with so much more value than just the single penny or dollar that you’ve spent.” she says. For example she is considering taking Spanish classes. Even things like gym classes make you feel better and improve your life. They make you feel better, so committing to them is a great use of financial resources that will pay off and make your life better. For more of Rebecca’s great money advice, listen to her story and advice on the Financial Grownup podcast. Bobbi Rebell is a Certified Financial Planner and host of the Financial Grownup podcast. She is financial journalist and the author of the best-selling personal finance lifestyle book "How to Be a Financial Grownup: Proven Advice from High Achievers on How to Live Your Dreams and Have Financial Freedom". She is frequently quoted in the media including Cosmopolitan Magazine, Redbook, Oprah.com, Money, Time, Refinery 29, US News and World Report, Yahoo Finance, Inc, Forbes, Fox News, and more. Bobbi has previously worked at Thomson Reuters, PBS, CNN and CNBC. For more on Bobbi and her work visit www.bobbirebell.com, and follow her on twitter @bobbirebell and on instagram @bobbirebell1.